heather & olive: alison roman's chocolate chunk shortbread cookies. 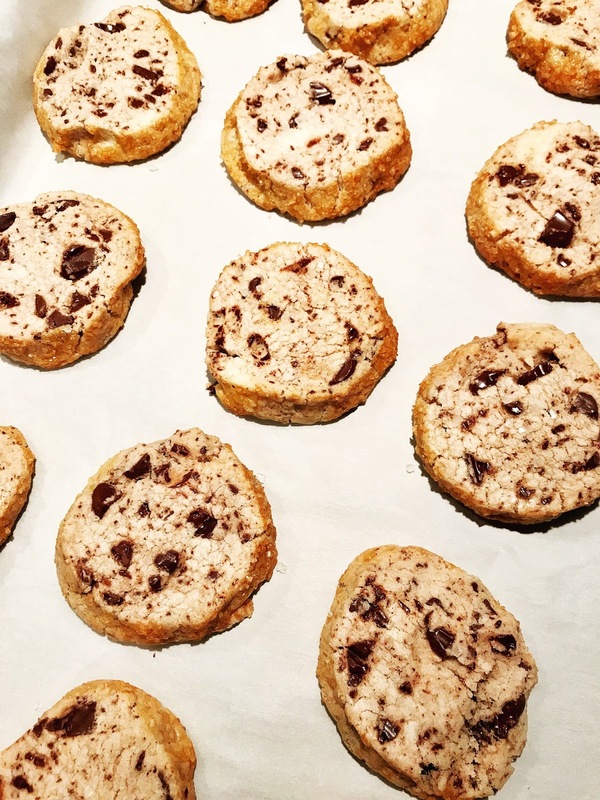 alison roman's chocolate chunk shortbread cookies. Another Monday, another weekend that flew by. Mine wasn't too exciting: I went to barre a couple of times, took care of a number of dogs and watched some of the Superbowl (but mostly scrolled through Pinterest while eating a plethora of snacks). The highlight, however, was finally making Alison Roman's Salted Butter and Chocolate Chunk Shortbread. I had been meaning to make these cookies for a while (they're everywhere) and they did not disappoint. These cookies are the perfect combo of salty and sweet, and even substituting gluten free flour for regular didn't take away from their tastiness. Definitely add these to your cookie list.